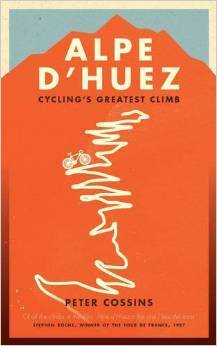 Alpe d’Huez by Peter Cossins is a cycling history of the famous Alpine climb. The book looks at the dramatic moments on Alpe D’Huez which have featured in the Tour de France. It also looks at some of the winners and the factors that make Alpe d’Huez such an iconic climb. It also examines the combination of myth and reality behind the great climb and examines some of the criticisms of the climb and whether it has become a victim of its own success. I received a copy of Alpe d’Huez by Peter Cossins on my way to the Pyrenees a few weeks ago. It was good timing because riding up the Pyrenees gave a much more vivid understanding of the attraction behind real mountains. As Cossins mentions towards the end of the book – a succession of doping scandals in cycling has caused a shift from a focus away from riders to the actual climbs. Modern day magazines place less emphasis on just the cycling personalities – the climbs themselves have become much more central to the interest in cycling. Witness the explosion in books about climbs and mountains. Riders come and go, but mountains are always there. Mountains are 100% reliable – they don’t have skeletons in the cupboard, but are a permanent feature on the landscape – tantalising any cyclist in the world to ‘come and have a go.’ As it is often said, it’s hard to have a knock around on Center Court, but anyone with a bike can ride up Alpe d’Huez and compare their times. 100 greatest cycling climbs of the Tour de France is the 4th book in the popular series of books by Simon Warren. This book includes 100 climbs which have featured in the Tour de France, including famous climbs of the Alps and Pyrenees, such as Alpe d’Huez and the col du Tourmalet. There is definitely an enduring fascination with climbing up hills. It is the thing we love to hate. Pictures of sweeping hairpin bends and looming vistas just make you want to go out and ride them. As a cyclist, there are few challenges as rewarding as conquering difficult hills. And it is the mountains of the Alps and Pyreenes which are the most iconic aspect of cycling. Quite often you read a book – and that’s it. It sits on the bookshelf until you give it away to a charity shop to make more space. But the 100 Greatest climb books are the kind you want to keep going back to – Looking for a new hill to ride, looking at the hills you’ve just done. The problem with 100 climbs of the Tour de France is that it make British hills look rather feeble in comparison. I know we have Great Dun Fell and Hardknott Pass, but the Tour de France is just littered with mind blowing climbs complete with beautiful hairpins and stunning scenery. I’m just jealous of all those hills and I haven’t ridden even one. 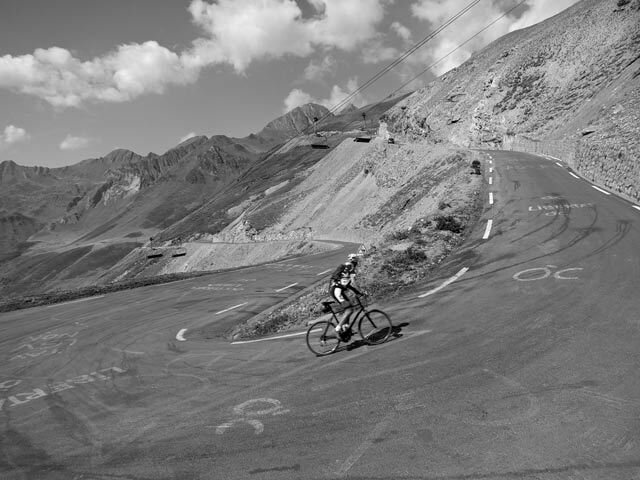 Reading the book does gives me pangs of inadequacy – I haven’t conquered even one Pyrenean pass. A while back I was researching climbs which would give maximum higher gain in minimum time frame. The magic gradient is a steady and consistent 10%. In the UK this is virtually impossible to find. But, in the Pyrenees, it seems every climb was perfectly engineered to give this magic gradient for a high Vertical Ascent per Meter. I received a copy of Giro d’Italia by Herbie Skykes at the Buxton Mountain Time Trial. I’m not sure if it was a prize or given to every rider. It is published by Rouleur. Herbie Sykes is an Englishman who moved to Italy and became fascinated with the Giro and Italian cycling culture. 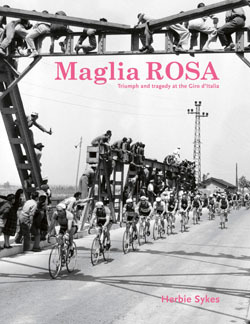 The book tells the Giro through the experiences of top riders – (though not necessarily famous outside of Italy). One attraction of the book is that there are many new cycling stories. The famous Tour de France stories are all well known, but in the Giro there are many different epic cycling stories from lesser known Giro riders. 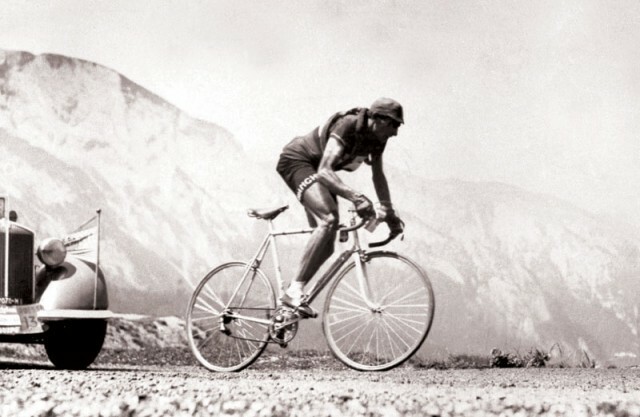 For example, Franco Balmamion the last Italian rider to win back to back Giro victories (I’d never heard of him). There are also some interesting accounts of riders who made it from the poorest social and economic circles. 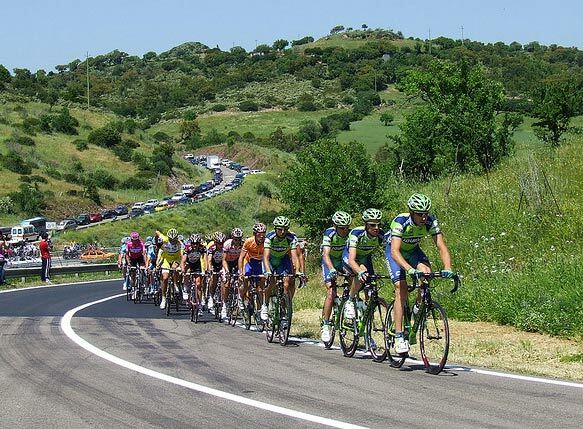 With all the ups and downs of the long history of the Giro d’Italia, it also gives you an insight into Italian culture and political life as much as it does into cycling. The one difficulty with the book was that sometimes it’s hard to keep track of all the unfamiliar Italian names. Alas, my knowledge of the Giro is quite limited apart from the famous Bartoli and Coppi. But, it is always good to read something new. It was a timely read, with the Giro starting in May this weekend too. The other problem is that, especially in the past few decades, it’s hard to read it without feeling considerable regret the Giro has been sabotaged by doping. Such a great history, but the history is tainted; the amount of pride you can get from the past seems to depend on your tolerance of doping infractions. [Warning: begin rant] It’s a bit off topic, but I wanted to mention the Pantani phenomenon. Marco Pantani was a tragic life – someone who deserves considerable sympahty, but it is hard to think of a more unsuitable role model for professional cycling. I just can’t get my head around these Pantani limited edition bandanas and shirts, which are proliferating at the moment. In a way I find them more painful than a Livestrong yellow wrist band. It sums up the curious Italian approach to cycling and doping. They are cynical after years of doping, but they love to celebrate one of most prolific dopers and someone who led protests against the implementation of doping controls. The good thing is that whatever happens, the Giro always bounces back. Whatever it goes through, there is always interest in the epic three week tour; there is an instinctive capacity for renewal. 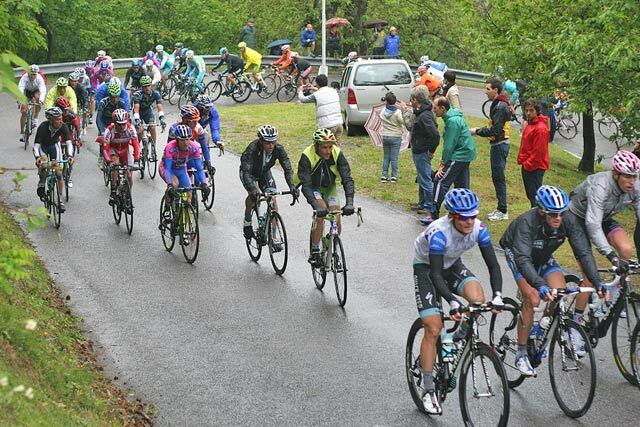 In the past few years, the Giro seems to be undergoing another period of renewal. With the attraction of some of the big Tour de France podium riders and cycling names like Cadel Evans, Wiggins, Nibali and Quintana it seems the Giro is in a strong position. Watching the Giro fly up to the Stormont Parliament in Northern Ireland was a magnificent sight. Who would have thought that it would be the Giro d’Italia to see the troubled province of Northern Ireland bedecked in a sea of pink and multicultural flags? It was particularly sad to see Dan Martin crash out. Because he is a rider who really seems to be worthy of supporting and signs of a new era.